Damn it Florida. Your ineptitude when it comes to elections is starting to rub off on neighboring states. 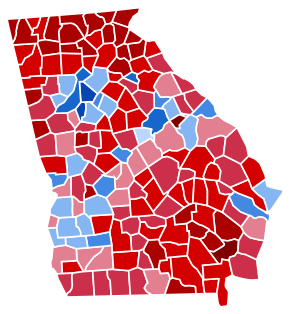 Georgia was mired in a similar issue until the Democratic challenger for Governor graciously accused everyone except Bin Laden of stealing the election from her. An election she lost due to getting less votes than the other guy. No matter. We press on. We’ve work to do, Speakers of the House to elect (yes, that’s how you say that), and forest floors to rake. We’ve no time for election shenanigans. There is a fictitious War on Christmas to prepare for! Tis the Season and all that. Click the link people. You’re welcome. No way she lost. Look how many blue thingys she has.